Private Producers There are 54 products. 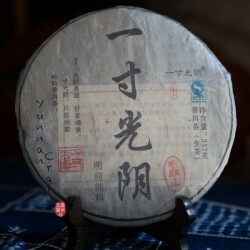 of this small pu-erh tea company based in Kunming. Lia , the founder, believes in good quality tea and focusing that way. With many years of experience in tea business she has learned how how to select right tea material and sell it right way. 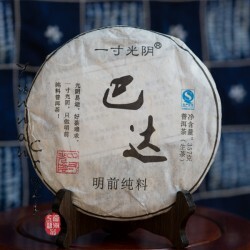 as a one of the shu cha suppliers , which is the one of the aspects why we selected him for our shop. 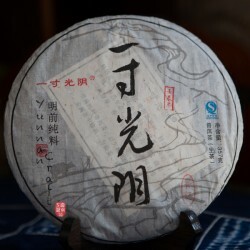 but also has very good quality sheng cha. however we prefer focusing on tea taste rather than ceremony around that. 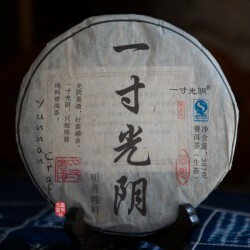 Our goal is to provide good quality tea wrapped in genuine label . Our simple philosophy is : " Don'r sell what you wouldn't drink your self"
mainly focusing on CCCP market and other countries in eastern block. the potential of tea processing knowledge and started getting more involved into that field. Few years later he applied for transfer in production department which he was soon partially in charge of. Few years ago he retired but his passion about the tea remains, so we are lucky to get something out of his private production. His best output as far as we concern would be his black tea. 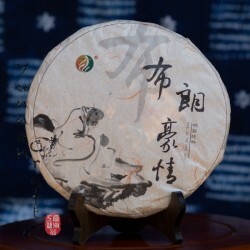 In 2010, a young couple started off their own new brand of tea, named Yi Cun Guang Yin. Before they were working like sales people tea brands or tea manufacturers like Da Yi , Lao Tong Zhi or Long Sheng. tea producers etc. Didn't take long when they started to learn how the tea business works and opened up their own. 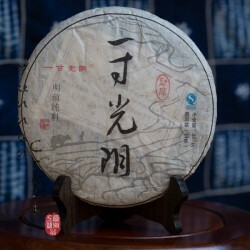 We choose them for our shop for a wide selection ( locations ) of their teas and quality / price .